A Wi-Fi specification, (IEEE-802.11 a/b/g/n) is a commonly adopted technology for in-vehicle computer products. 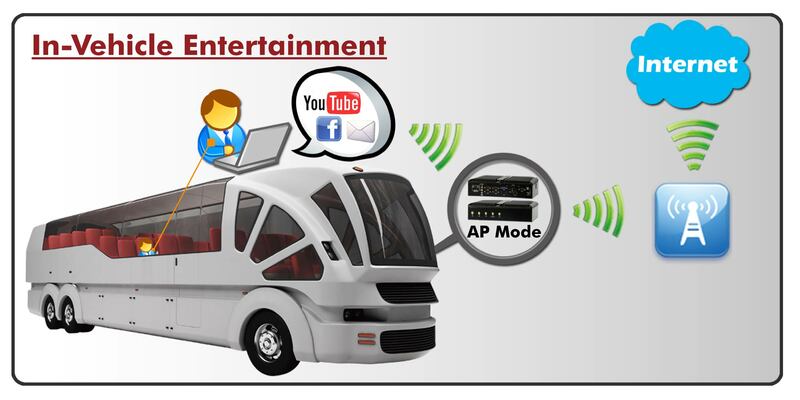 These are AP (Access Point) Mode and Station Mode for the Wi-Fi technologies. In general, the Wi-Fi module can only support Station Mode which allows user to connect to a local Access Point in range; however, acrosser has studied and reviewed numerous field applications and has took into consideration these results when the company designed their in-vehicle computer products, such as, the AR-V6100FL and AR-V6002FL. 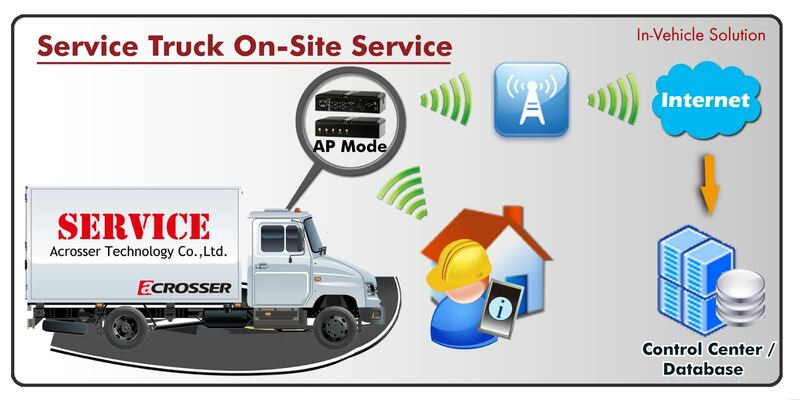 Acrosser Wi-Fi modules can support both AP Mode and Station Mode, allowing the user to switch mode during operation. AR-V6005 & AR-V6100 support the optional GPS/GPRS/WiFi module inside one compact system, to fulfill the highly demand from telematic applications. In addition, acrosser In-Vehicle PC has excellent mechanical design to adapt high environment endurance that is certified to operate under Vibration 3G (follow IEC60068-2-64) and shock 50G 11ms (follow IEC60068-2-27), and fully compliant with in-vehicle computer application such as E -Mark Certification (E-13). Intel Celeron family is a line of budget x86 processors based on Pentium designs. Originally based on Intel Pentium II architecture, the Celeron processors migrated over time to Pentium III, NetBurst (Pentium 4) and Core architectures. Priced lower than their Pentium counterparts, the Celeron processors have certain high-end processor features disabled. For example, P6-based Celerons had multiprocessing disabled, while more modern CPUs may have disabled Hyper-Threading, Virtualization, AES instructions, and/or other features. The Celerons are slower than similar-clocked Pentiums due to smaller size of L2 cache, and possibly slower bus speed. Celeron CPUs are usually packaged the same way as Pentium or Core-branded processors, and can be used in motherboards designed for Pentium/Core microprocessors. For more information about the differences between Celeron and Pentium CPUs please see Celeron vs Pentium page. AR-V6002FL is designed with standard power input for car battery of 12V/24V, capability to operate in rugged environment of -20 to 50 degrees, standard vehicle certification of CE, FCC class B and E-Mark 13, and can withstand shock and vibration up to 2G follow IEC60068, which allow system integrators to implement the accessories to fulfill vehicle application, such as Fleet management, Telemetric, Traffic safety control and numerous other vehicles. COM Express Basic Type 6 Module, the ACM-B6360. ACM-B6360 features Intel 3rd generation FCBGA1023 Core i7 processor with QM77 platform, two DDR3-1333 SO-DIMM with ECC and providing great computing and graphic performance. Which is suitable for industrial automation and Entertainment applications. ACM-B6360 and ACM-B4080 – COM Express Type 6 carrier board are available now. For more information, please contact acrosser Technology, Acrosser USA, and ACROSSER worldwide resellers in your local area.